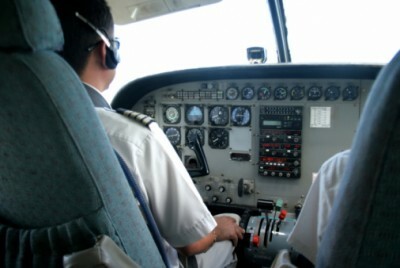 AGE did not hinder Ms Kris Zhan from fulfilling her dream of becoming a pilot. At the age of 40, this gutsy woman who had been a flight attendant with TransAsia Airways (TransAsia) for 14 years decided to pursue a career in the pilot cabin. “Flying has been my dream since I was a little girl,” says the 45-year-old Taiwanese, who thought she was living her dream when she switched from working in the finance sector to becoming an air stewardess. It was not till she became the head of the flight attendant crew when she witnessed firsthand how pilots in the cockpit operated that she realised what she really wanted to do. The turning point came for this mother of a teenage girl when she met a Canadian pilot who encouraged her to give flying a try. “It is never too late to get started,” she recalls him saying. So in 2007, she applied to TransAsia and started her pilot training in the United States that same year. After successfully completing the internal examination with the airline, she was assigned to fly as co-pilot of the ATR Fleet in December 2009. Prior to her assignment, she had to continue working as the head of flight attendants while preparing for the internal pilot examinations. Despite her familiarity with “being in the air”, she had to learn to operate various equipment on board the airplane and pick up a different set of communication skills. “It was both physically and emotionally demanding. The toughest part was training myself to have a better physique and to react faster,” she recalls, grateful for the support she got from her family and colleagues during that period. When asked what is most challenging about being a pilot, she replies: “What is really challenging is not flying the plane itself but being able to read and handle various situations while flying it. “Every trip is literally a new one because of the unique weather conditions, passengers, airport situations and so on. Before take off, she checks all the equipment in the pilot cabin, ensuring good communication with the airport control tower and the passenger cabin. Other than flying the plane, she monitors radio channels and tracks other airplane traffic so that there are no collisions. Being a relatively new pilot, she prepares for each journey by reading about the different destinations and garnering sufficient knowledge about the journey ahead of time. “I enjoy the process of learning new things, and being a pilot, we have to keep abreast of new technology,” she says. In TransAsia, it is compulsory for all pilots to take examinations every six months to make sure they are up to date with the latest equipment. When asked which her favourite destination is, she says: “Within Taiwan, it would be Hualien, without a doubt. Her best experience nevertheless was one of the rescue missions where she flew to Xiamen to transport injured patients back to Taipei. “TransAsia has been a long-term partner of International SOS and helps by providing chartered medical flights,” she explains. In June this year, Ms Zhan was sent to Beijing for training to fly a new fleet of airplanes — the A330 aircraft recently purchased by the company. “I am extremely honoured to be among the first batch of pilots to fly an A330,” she says, grateful to her bosses who have given her many opportunities to try out various positions within the company. The first A330 will fly the Singapore-Taipei route this December and she can’t wait to serve passengers to and from Singapore.